You probably installed only plugin or you installed only peds without the plugin. aap, one little thing, can you please make the game show Xbox Claude model in skin selector? It should do that if you have the model in gta3.img. But it won't be oriented correctly They didn't bother to fix this kinda stuff because xbox had no skin selector. can someone let me know how to install version 2 of this mod. looks like it works without modloader!! Unhandled exception at 0x0059F1CE in gta3.exe (+0x19f1ce): 0xC0000005: Access violation reading location 0x00000004. It's not working for me either - i don't have modloader, i just installed the mod manually and loaded with simple dll loader. I thought it was maybe because i had to add the peds to the gta3.img using imged because img factory won't work on my computer (says it's not a 32 bit application). But seeing other people complain about the problem makes me think that maybe the gta3.img file isn't the problem? I can post a md5 hash or something of my gta3.img if that helps? Or do they get created differently every time? If you need me to test anything just ask. I decided to stop the mod being loaded, but keep the ped files in the gta3.img and it gave the exact same error message above. Any other information you need to help fix, just ask. I solved it, the problem was the gta3.img file. It seems that you cannot use imged to add the files. 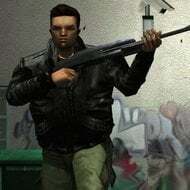 I used img factory on another computer to import and repack the img and that gta3.img now works. I think maybe imged doesn't support repacking - at least, the size was the same as the img factory one before i repacked it. Does anyone have any suggestions of other decent img tools apart from img factory, so that people know what ones are actually still somewhat viable? I'm really glad that the finger animations now work, thanks! modloader if you only need things to be in gta3.img ._. Thats strange, for me it works fine with XBOX HD MOD, so what mission are you trying to start?, for me it's ok.
What are the advantages of using the XBOX HD MOD? How is it better than using skygfx, the converted XBOX map, vehicles and skin & bones by TheHero? i installed the new version of this mod. now the game crash when starting new game, works fine when load saved games. also the game crash when the cop is about to punch me. I don't know. I had similar reports before and also had this cop crash myself sometimes. I don't know the cause. Have you tried finding the root of the cop crash? It also crashed when an old lady punched me, and roadblocks of FBI/FIB vans crash my game as well. No. I haven't even started gta since my last post. That may or may not fix the crashes you had but please check. Well, iii_anim changes the animation system and ped animations are recorded every frame for playback. So it's not unthinkable that something could break. In fact the replay system can break things even without iii_anim. There definitely still are crashes. They mostly seem to happen when someone punches you or so. It's kinda hard to debug though when you can't reproduce them reliably. I haven't had any crashes from getting punched in v2. I let a ton of people (including cops) punch the crap outta Claude, but nothing. Then I was driving around collecting packages then BAM it crashed at random. lol rly 2.0 works like a charm , no crash when cop is about 2 punch.